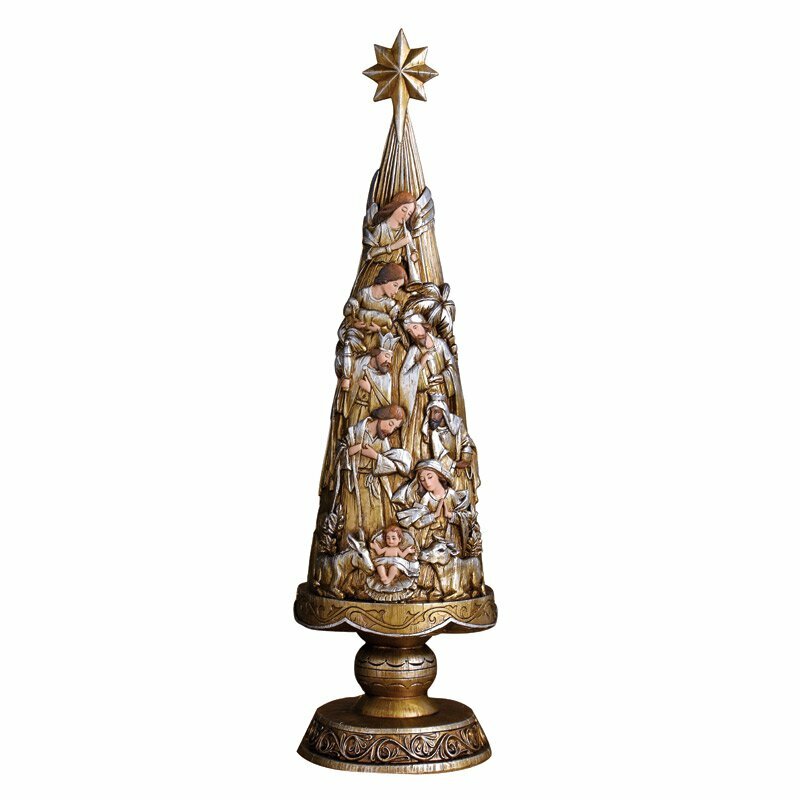 Our best-selling Nativity Christmas Tree is designed to stand alone for home or sanctuary use. Each offers carved and detailed figures with an antiqued silver and gold color palette. Makes a perfect gift for just about anyone on your Christmas list. Gift boxed.